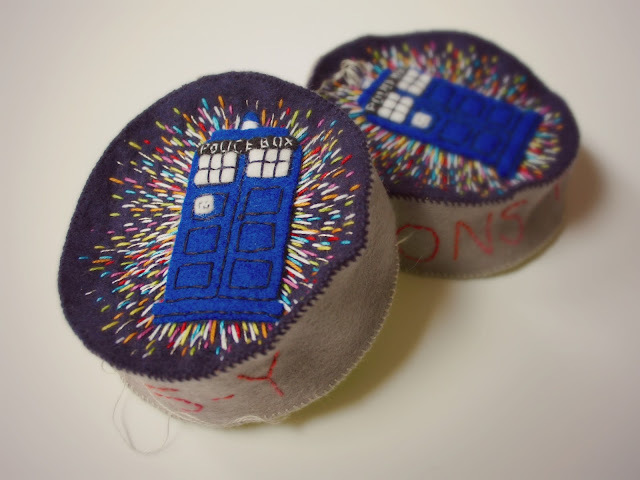 I started some Dr.Who pincushions this week because they are always fun to work on and I am completely sold out of them. You have to be a fan to truly appreciate them but even if you are not, I hope you will enjoy the embroidery! I have two TARDIS (Time And Relative Dimension In Space) pincushions ready to stuff and two Weeping Angel ones almost ready. 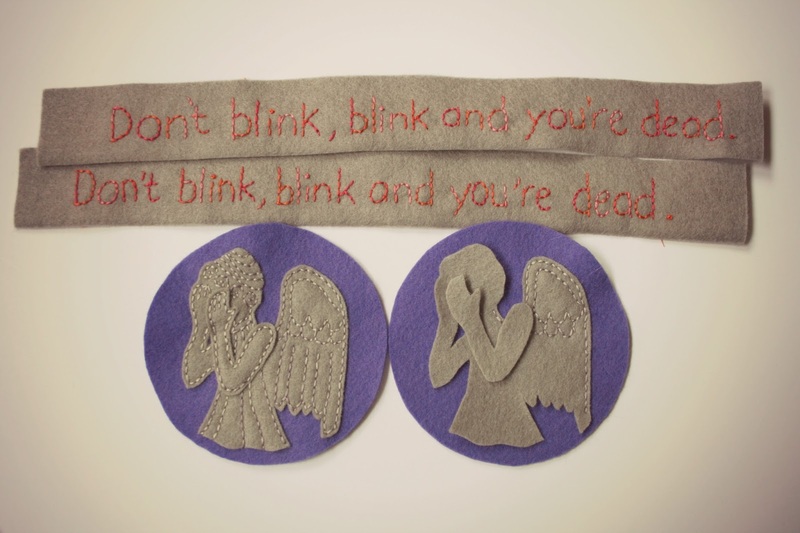 I think the Weeping Angels are one of the scariest villains the writers have created. 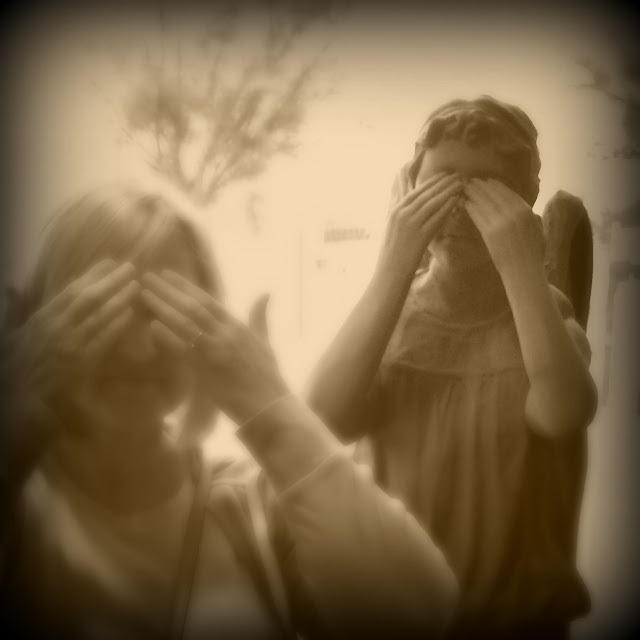 They cannot move if you are looking at them, but blink or look away and you're in trouble. "The Angels Take Manhattan" which is the last episode with Amy and Rory, always makes me teary. 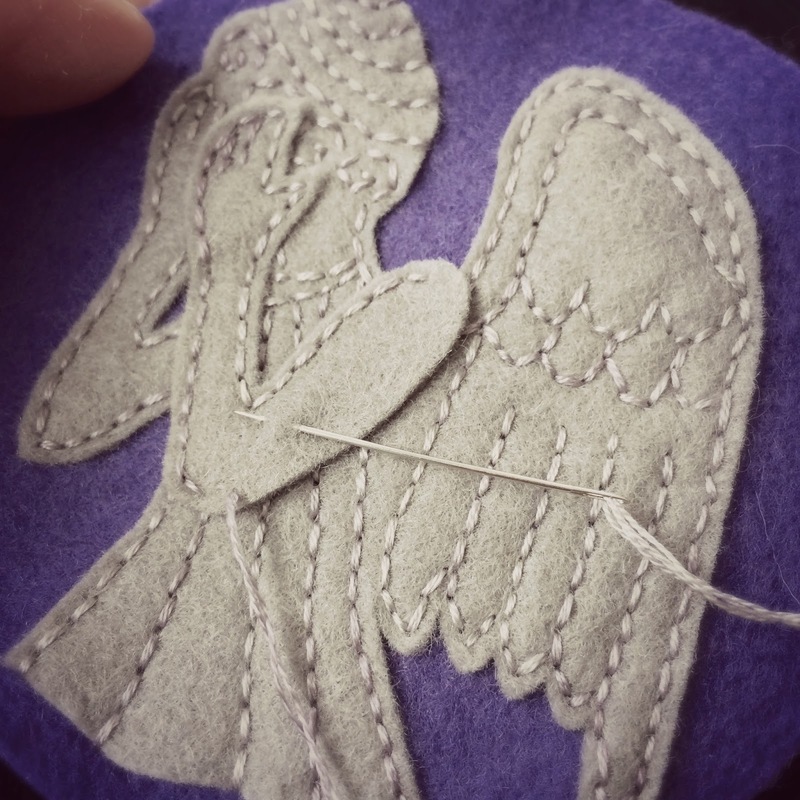 I've used a pale grey felt for the Angel statues with a lovely hand dyed cotton embroidery floss. 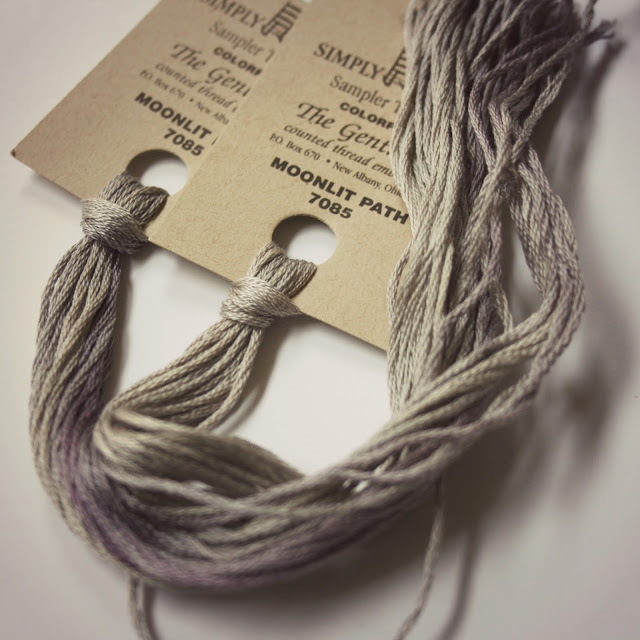 The thread has hints of blue and purple in the grey which is perfect for this image. I've posted this picture before but it seems appropriate to post it here. 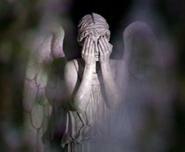 It is a Weeping Angel at the Dr. Who Experience in Cardiff, Wales. I haven't gotten as much done as I'd like this week. It's been another busy week. Next week should be calmer and I am hoping to get my shop re-opened.